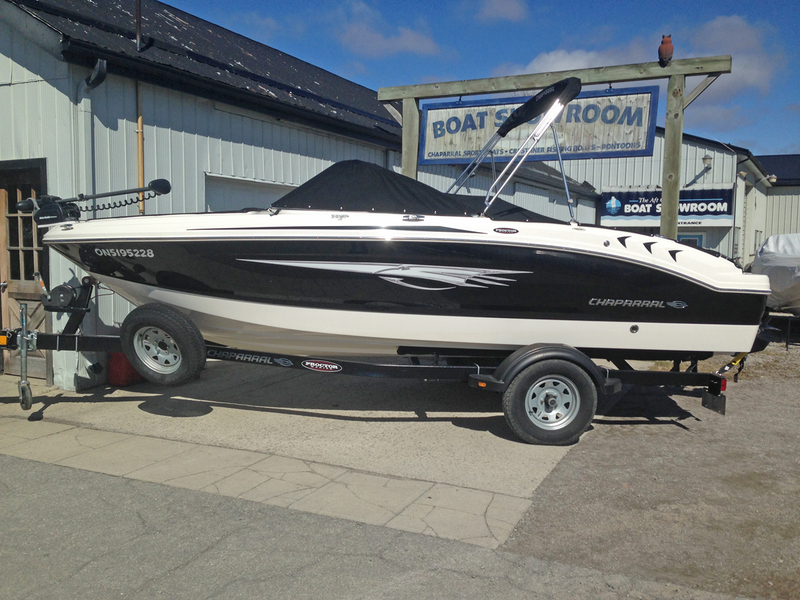 2015 Chaparral 19 H2O Ski & Fish. 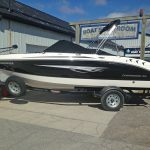 Powered by a 220 hp Mercruiser 4.3L MPI V-6 with only 11.5 hours of use! Packaged with a matching Chaparral bunk trailer. 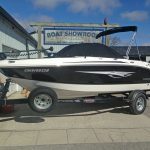 Offered as a brokerage (or consignment) sale. Just arrived, watch for more photos to be posted soon. 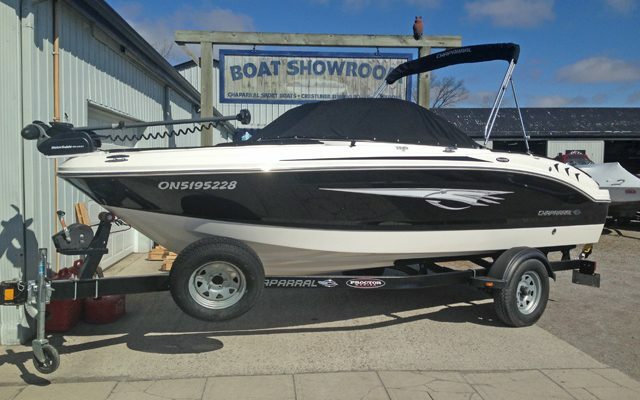 Purchased here new in May of 2016, this boat has seen almost no use and is in nearly new condition. 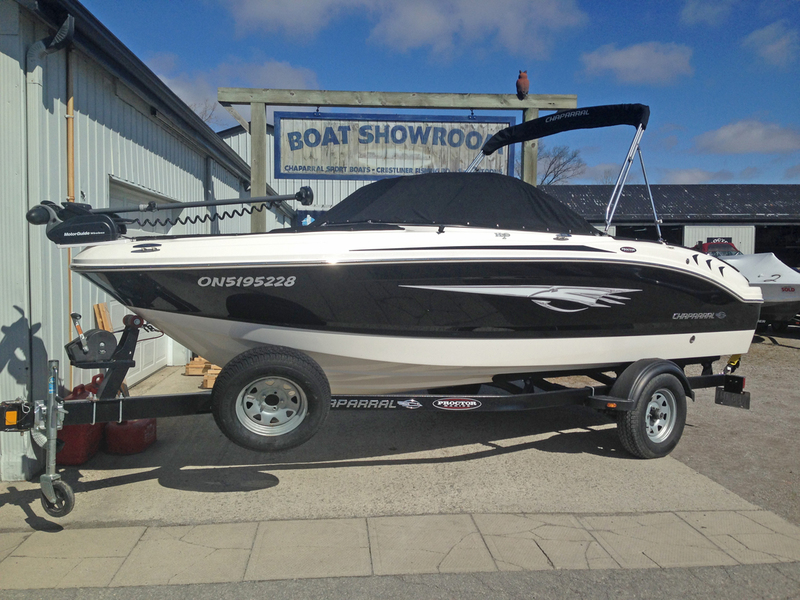 The Chaparral H2O Ski & Fish is an excellent family runabout that converts quickly for casual fishing adventures. A 12 volt Motorguide bow mounted trolling motor and a large live well make fishing convenient. Two upholstered rear corner seats convert to elevated bow and stern casting seats to keep the fishing comfortable. When the fish aren’t biting you can take the family to the beach in style and comfort.